Text by George T.M. Shackelford, Claire Frèches-Thory, et al. Essay by George T.M. Shackelford. The life of Paul Gauguin (1848–1903) is one of the richest and most mythic in the history of Western art. Abandoning a career in banking, a family and his homeland, in the last decade of the nineteenth century he sailed from France to the South Seas to seek a life “in ecstasy, in peace and for art.” During his years in Tahiti, Gauguin brought forth a wealth of astonishing paintings, culminating in this monumental meditation on what he called the “ever-present riddle” of human existence posed in the work’s title. This compact introduction to Gauguin’s masterpiece explores its relation to European models as well as to the artist’s own companion pieces. 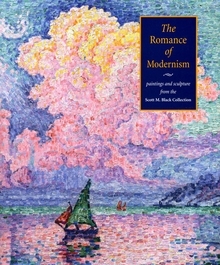 Paperback, 5.75 x 8.25 in. / 56 pgs / 23 color / 1 gatefold. Paperback, 9.5 x 11 in. / 380 pgs / 260 color. Recently named one of the world's top 200 collectors by ARTnews, Scott M. Black has developed an exceptional collection of Impressionist, Postimpressionist and Modernist works over the past two decades. Ranging from sculptures by Rodin, Maillol and Moore to paintings by (among others) Monet, Renoir, Cezanne, Leger, Picasso, Braque, Vuillard, Signac, De Chirico, Miro and Magritte and works on paper by Chagall, Pissarro and Degas, this is indeed one of the world's most notable private holdings. But more than simply an amalgam of remarkable artworks, the Black Collection--published here for the first time as an ensemble--bespeaks a personal engagement with each object, a sense of wonder that infuses this gathering with a spirit of adventure, delight and romance. 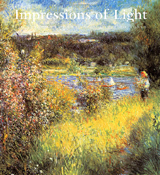 Includes historical commentary by George T. M. Shackelford, author of Impressions of Light and Gauguin Tahiti. Taken together, these 60 objects present a compelling, instructive and disarmingly personal panorama of the period from 1870 to 1970 when art revolutionized our ways of seeing. Clothbound, 9 x 12 in. / 200 pgs / 80 color. 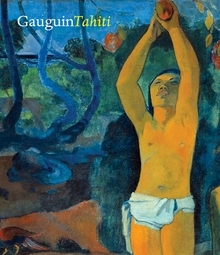 The life of Paul Gauguin is one of the richest and most mythic in the history of Western art. A banker and “Sunday painter,” he left behind family and homeland and sailed to the South Seas, seeking a life “in ecstasy, in peace, and for art.” Gauguin Tahiti, the first major retrospective of the artist's work in fifteen years, offers an in-depth study of the fabled Polynesian years that have so defined our image of the painter. 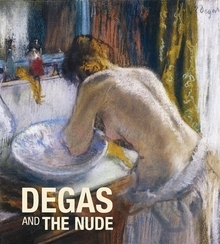 Alongside essays by leading American and French critics on every aspect of Gauguin's art, from the legendary canvases to his sculptures, ceramics and innovative graphic works, are discussions of the Polynesian society, culture and religion that helped shape them; an in-depth biographical narrative of the artist's life, with the many epiphanies, frustrations and discoveries that make his time in the South Seas one of the most mythologically potent episodes in the history of Western art; and a chronicle of his changing fortunes in the century since his death. 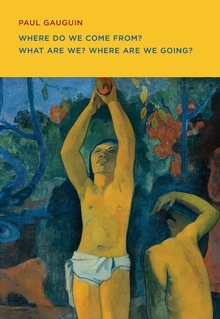 At the center of it all is Gauguin's 1897 masterpiece, Where Do We Come From? What Are We? Where Are We Going?, the summation and crowning glory of his mature career, presented with unprecedented depth and authority. Over one hundred years later, Gauguin remains one of the most enigmatic and attractive figures of 19th-century art, the very pivot of modernism, and Gauguin Tahiti finally portrays this crucial period of his life in all its color and drama. Clothbound, 9.5 x 11 in. / 372 pgs / 260 color / 80 bw.